Asquith Soccer Club has an enthusiastic Junior Club. Our focus for Small Sided Football players is on building skills, learning the game and teamwork. 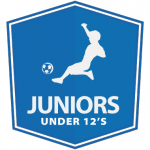 These teams are only loosely graded for skill, with social groups and transport/childcare arrangements being taken into consideration, especially in the younger age groups. These teams train once a week for 45-60 minutes and play on Saturday mornings. Our Junior Competition teams are graded on skill wherever player numbers allow. We try hard to nominate our teams in appropriate divisions to ensure a competitive and fun season for our players. These teams train once a week for 60-75 minutes and generally play on Saturday mornings for Mixed teams. Our training sessions are held at Asquith Park on Tuesday, Wednesday and Thursday afternoons and evenings. Teams are allocated space at a time which suits the coach, as negotiated with players and parents preseason. Preseason training and Grading days will be announced in our News section.